I needed a big city break. A break from people and buildings. 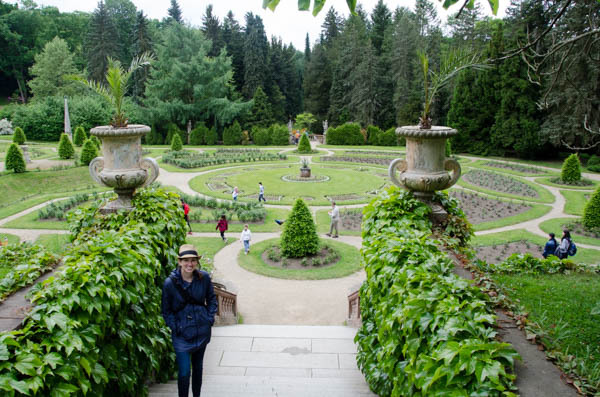 So we hopped on a train to visit Konopiště Castle, an hour train ride away from Prague. Buy your tickets at the train station, but be prepared for lines. We had to sprint to catch our train. 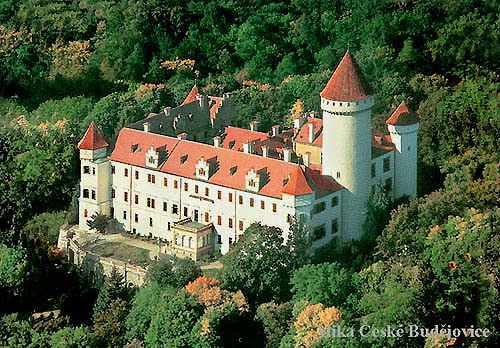 Konopiště Castle was Archduke Franz Ferdinand's (whose assassination triggered the start of World War I later). More info on the Archduke here. 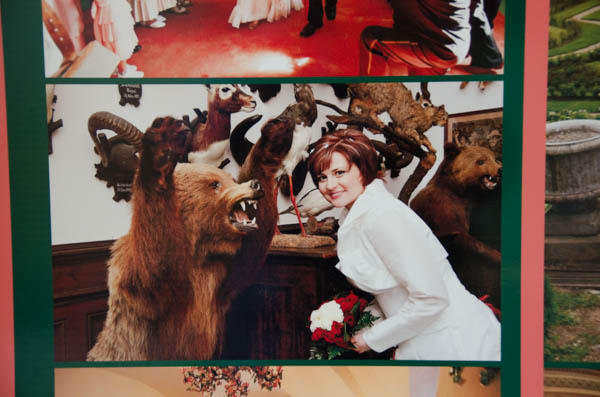 The inside is full of early 1900 furniture and his impressive, often terrifying taxidermy collection. He was really, really into hunting. Each of his killings were logged to the tune of 300,000+, many of which are seen inside of the castle. Lions and tigers and bears, etc. To view his ahem, collection, join a tour which is cheaper if you take it in Czech with an English audioguide. No pictures allowed. But if you book the wedding package you get an opportunity for that gem above. 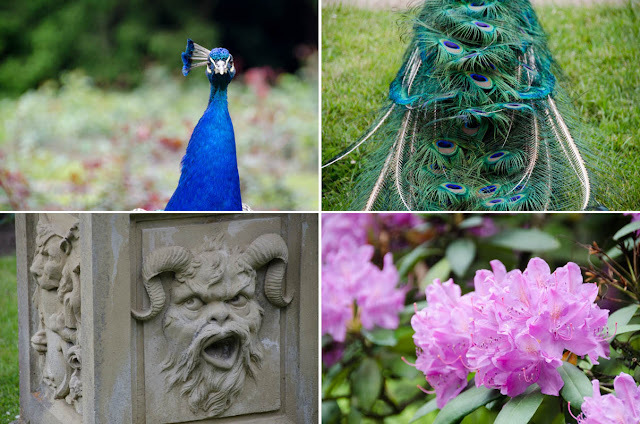 Archduke Ferdinand loved roses and his garden is a mosaic maze of rose bushes with roaming peacocks. We pulled up a seat, pulled out a box of chocolates we had been saving from Poland and enjoyed. After our fill of taxidermy, we hopped our train back to Prague and the weather was perfect enough for a ride on the river. 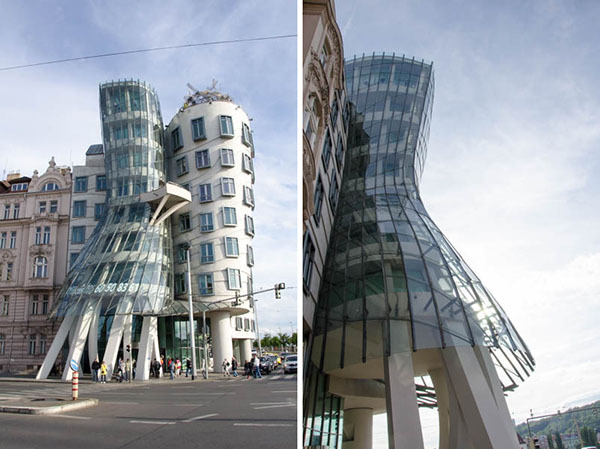 But first, the Dancing House. We wandered down the riverbank to the boat rentals near the National Theater. 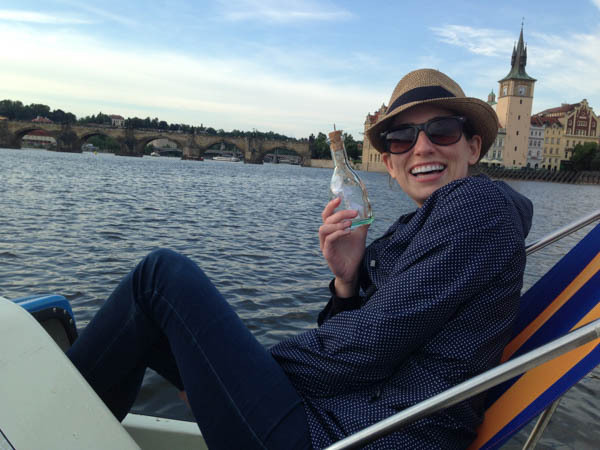 With Charles Bridge in the background, I found a message in a bottle! In Czech. Left for someone as ridiculous and easily excitable like me. An evening stroll through the Old Town Square to our apartment and then bed. Money: Czech Republic used Czech Koruna. Get your monies at the ATM. In terms of sights, many are free. 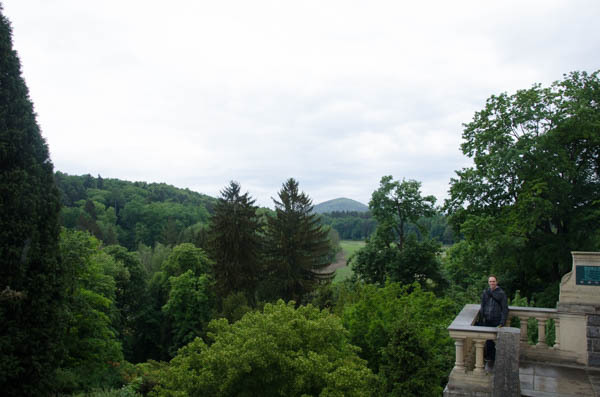 If given the chance, always pay extra to climb up for a view. Transportation: We used the train station just west of town to ride to the Castle. It was a little confusing getting from the train station to the castle. Just follow the other tourists. There is not much in terms of the town (all restaurants and shops were closed).